Imagine a community where all of the physical structures were constructed 50 years ago of wood, have antiquated wiring, and are heated by open fireplaces before the widespread use of home fire alarms. Despite the homeowners’ collective attempts to live safely, fires commonly break out, rapidly moving from house to house, often destroying and damaging whole blocks of structures so that one-third of the structures need rebuilding each year. In such a community, the costs of home insurance would be astronomical – $3,000 (or $36,000 a year) for a $100,000 home wouldn’t be an overestimation. Every year, premiums would increase due to the rising costs of replacement materials and labor. In such an environment, no one could afford the costs of home insurance. Casualty insurance companies reduce the risk and the cost of premiums for home owners by expanding the population of the insured properties. In the above example, the insurer would include other communities with newer fire-resistant structures, widespread use of alarms, and rapid response fire departments. The inclusion of more houses increases the insurance “pool,” dilutes the likelihood of a costly event, and lowers the damage incurred to the pool when a fire breaks out, effectively reducing the financial risk of all homeowners in the pool and individual premiums. Medicare is akin to a home insurance program wherein a large portion of the insureds need repairs during the year; as people age, their bodies and minds wear out, immune systems are compromised, and organs need replacements. Continuing the analogy, the Medicare population is a group of homeowners whose houses will burn down each year. There is a direct correlation between healthcare costs and age: The older you are, the more likely it is that you will need medical care. The elderly are more apt to suffer chronic conditions that require treatment for years, and accidents are more common, often requiring complicated treatment. As a consequence of the high healthcare costs for older Americans, private insurers prior to 1965 either did not offer health insurance to the elderly, or charged such high premiums that insurance was not affordable. Medicare was created to solve a human welfare crisis that threatened to unravel the social and economic fabric of the nation. The majority of Americans receive private health insurance through their employers while they are working, a consequence of a series of “accidents of history,” according to NPR. An unforeseen result was the exclusion of the elderly from health insurance coverage, since most people lose their health insurance when they retire or cease working. In 1965, more than half of the elderly had no health insurance (64% of couples, 49% of unmarried women, 37% of unmarried men), while others had “terrible insurance – it didn’t do much to cover them,” according to Dorothy Pechman Rice, retired professor at the University of California at San Francisco and a former director of the National Center for Health Statistics. For the majority of the elderly who needed medical services, their choices were to spend their savings, rely on funding from their children, seek welfare or charity, or avoid care. Today, as a result of the amendment of Social Security in 1965 to create Medicare, less than 1% of elderly Americans are without health insurance or access to medical treatment in their declining years. While experts have speculated that Medicare has decreased elder mortality, there is no empirical evidence to prove that claim. However, older Americans have benefited by the reduction of risk for large out-of-pocket medical expenditures. Research indicates that these costs have been reduced about 40% for the elderly, who had previously spent the most. The value of peace of mind for elderly Americans is incalculable. In 1980, Medicare developed the diagnosis-related group (DRG), the bundling of multiple services typically required to treat a common diagnosis into a single pre-negotiated payment, which was quickly adopted and applied by private health plans in their hospital payment arrangements. In 1992, the resource-based relative value scale (RBRVS) was introduced for physician payments. 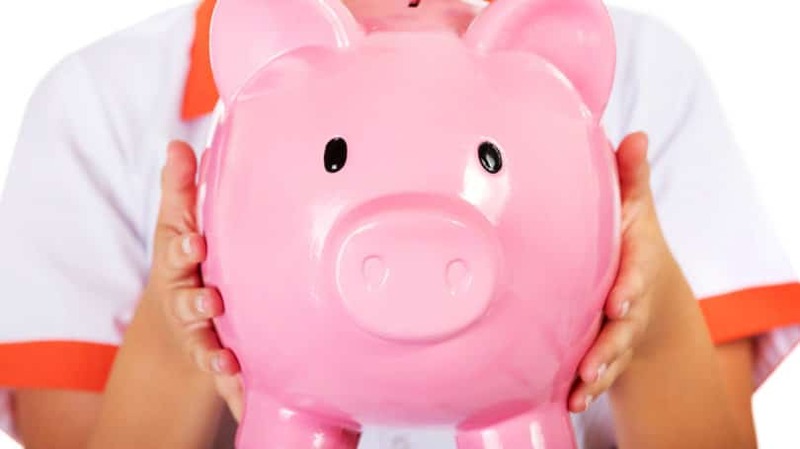 These payment systems have generally replaced the previous industry practice of paying a negotiated discount of billed charges or fees established by hospitals and physicians that are rarely related to actual costs incurred to deliver the service. As the largest purchaser of medical care in the nation, Medicare continues to refine payment practices to reduce costs and improve quality, despite fervent and active opposition of industry advocates like the American Medical Association and the American Hospital Association. One of the impetuses for Medicare was to offset declining hospital revenues by “transforming the elderly into paying consumers of hospital services.” As expected, the demographics of the average patient changed; prior to 1965, more than two-thirds of hospital patients were under the age of 65, but by 2010, more than one-half of patients were aged 65 or older. The Consolidation of Hospitals Into Large Coordinated Systems. For example, St. Louis has 31 hospitals, 4 of which are independent, with the remaining members of one of the four larger hospital systems. This consolidation has brought both the benefits of size (capital, mass purchasing, access to technology), as well its disadvantages (bureaucracy, waste, and decreased flexibility) to the community. A Decline in the Number of Hospital Beds. Medicare payment methodologies favor out-patient services and treatment, rather than in-patient. As a consequence, the number of hospital beds across the nation has fallen by 33% from 1965. Changes in Hospital Organizations’ Missions. The majority of community hospitals were not-for-profit prior to 1965, with the mission of serving the community in which they were located. However, by 2010, for-profit facilities comprised 18% of the total, more than doubling since the onset of Medicare. For-profit organizations focus on bottom-line profits. Some hospital analysts expect that consolidation and continued for-profit transformation will accelerate in the future, similar to the metamorphosis of the health insurance industry. Shorter Hospital Stays. In 1965, the average hospital stay was approximately nine days; by 2011, the average stay was less than four days. This reduction has been accomplished by delivering treatment on an outpatient, rather than an inpatient basis, as a consequence of the reimbursement methodology promoted by Medicare. More Care, Less Money Received. Hospitals now serve older, sicker patients with chronic conditions who need greater care for less reimbursement. The funding of Medicare flooded the industry with billions of dollars to meet the pent-up demand of elder Americans seeking medical treatments. As expected, the industry responded with new investments in facilities, equipment, personnel, and treatments. Real hospital expenditures grew by 63% in the five years following the introduction of Medicare, a rate 50% higher than the previous five years. Treatment intensity, as measured by spending per patient per day, increased even though patients after the adoption of Medicare were logically no more ill than patients prior to that date. The development and expansion of radical new treatments and technologies, such as the open heart surgery facility and the cardiac intensive care unit, were directly attributable to Medicare and the new ability of seniors to pay for treatment. According to a Kaiser Family foundation study, the number of firms offering retirement health benefits (including supplements to Medicare) dropped from a high of 66% in 1988 to 21% in 2009 as healthcare costs have increased. In addition, those companies offering benefits are much more restrictive regarding eligibility, often requiring a combination of age and long tenure with the company before benefits are available. In addition, retirees who have coverage may lose benefits in the event of a corporate restructuring or bankruptcy, as healthcare benefits do not enjoy a similar status to pension plans. According to the budget estimates issued by the Congressional Budget Office on March 13, 2012, Medicare outlays in excess of receipts could total nearly $486 billion in 2012, and will more than double by 2022 under existing law and trends. Federal spending on Medicare (not counting the portion from premiums that seniors pay) will grow to 5.5% of GDP by 2035, according to the Congressional Budget Office using its “alternative” fiscal assumptions. According to research by the Kaiser Family Foundation, the typical Medicare enrollee is likely to be white (78% of the covered population), female (56% due to longevity), and between the ages of 75 and 84. A typical Medicare household, according to the last comprehensive study of Medicare recipients in 2006, had an income less than one-half of the average American household ($22,600 versus $48,201) and savings of $66,900, less than half of their expected costs of healthcare ($124,000 for a man; $152,000 for a woman). People over the age of 65 now constitute 13% of the overall population and will reach 20% by 2050, according to current demographic trends. Paying for healthcare for the elderly population by younger working Americans will be a major issue for decades to come. Political competition has become increasingly virulent with a “winner take all” attitude from partisans of each party. Compromise is rare, even when philosophies appear similar. The Affordable Patient Act passed in 2009 by a Democratic president and majority-led Congress was modeled upon an idea proposed by conservative think tank The Heritage Foundation, endorsed by a leading Republican conservative Newt Gingrich, and previously established in Massachusetts by Republican presidential candidate and former governor Mitt Romney. The political animosity between the parties reinforces opposite policy positions even when it might appear that the two sides are in basic agreement about policy. Almost a century ago, Yale economist Irving Fisher said in a speech, “At present the United States has the unenviable distinction of being the only great industrial nation without compulsory health insurance.” Despite the efforts of multiple presidents over the years to reform healthcare and make it available to all Americans, the system remains essentially the same: Largely private, extremely expensive, of sporadic quality, and excluding large segments of the population. The costs of the current American private/public system drive trillion-dollar deficits and an unprecedented national debt. No other industrialized country has similar healthcare costs, nor excludes significant populations of their citizens from coverage. According to the most recent report from the Organization for Economic Cooperation and Development (OECD), the United States spends 17.6 % of its GDP for healthcare, more than two-and-a-half times what most developed nations in the world spend. Simultaneously, more than 18.2% of its citizens under age 65 lack healthcare insurance and are dependent upon charity, Medicaid, and state programs for basic medical care. Despite its obvious failings, healthcare reform is one of the more contentious, controversial subjects in American politics. It was a key issue in the 2012 presidential election, and is likely to remain in dispute for decades to come. Spending as a percentage of GDPMedicare is the poster child of the ills created by America’s underlying dysfunctional healthcare system, reflecting the country’s unsuccessful attempts to meld a combination of diverse, often competitive suppliers of medical services, products, and practices into a coherent, effective system of care. The task is geometrically complicated by the divergent interests of the medical care recipients and multiple payers with conflicting interests. 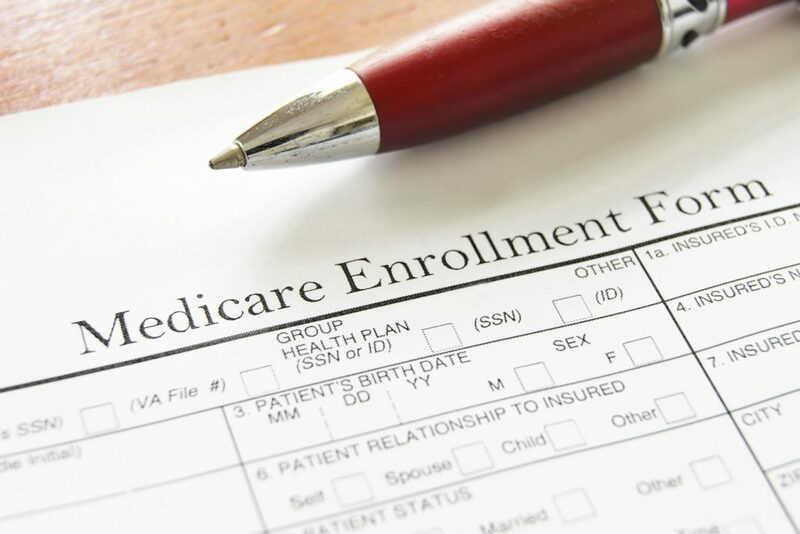 Since inception, Medicare costs have always exceeded projections, rapidly becoming the fastest growing segment of the federal budget and significantly exceeding the payroll taxes established to fund the program. Efforts to significantly control Medicare costs have been historically unsuccessful and, lacking fundamental change in the healthcare system generally, are likely to remain so. Privatization Through a Voucher System. This would allow beneficiaries to receive a fixed subsidy and purchase insurance on the private market. Rationing Care. Specifically, care can be rationed in the last months of life to palliative treatment. Currently, 12% of Medicare patients account for 69% of all Medicare expenses, usually in the last six months of life. Which, if any, of these reforms will be put into place is yet to be determined. However, it is certain that Medicare will be the subject of countless meetings and negotiations as legislators struggle to reduce the annual budget deficits and national debt. While many believe that access to quality healthcare is a fundamental right and a characteristic of civilized society, others feel that taking care of one’s self is an individual responsibility. Medicare suffers from the perception that it serves a limited section of society, rather than the populace as a whole. But we should remember that the program is a sentry for the future that all of us will face someday. How do you feel about Medicare? Do you have parents or grandparents dependent upon the program? Should the government provide health insurance to the aged or disabled?